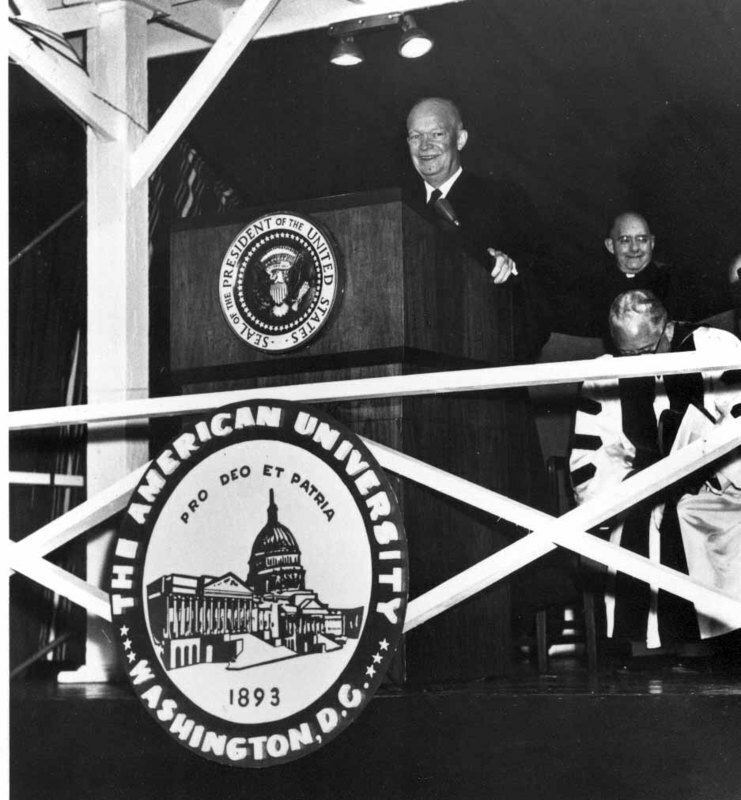 President Dwight Eisenhower gave the commencement address and presided over the groundbreaking for the original School of International Service building on June 9th, 1957. Commencement ceremonies are an important part of the history of any university. These ceremonies encourage reflection on the significance of the service a university provides through its commitment to educating future activists and leaders. President Warren G. Harding was the first among many U.S. Presidents to participate in American University's ceremonies. Their speeches applauded graduates and reaffirmed the University's role to the community at large.